A cause and effect essay explains why things happen and what happens next. When you write this kind of essay, you should clearly identify the relationship between the cause and effect of a certain subject. And in order to do this, you should have a clear thesis statement and should be able to support your arguments. So learn how to write a cause and effect essay by following the simple steps below. In choosing a topic, it should stimulate the readers’ interest and should build a good argument along the way. In other words, it must be interesting enough to discuss. And make sure that it is based on a connection of reasons. After choosing a topic, first, decide which cause or effect you are going to elaborate. In most cases, there are too many causes and effects for a certain subject. It will be impossible to cover all the reasons and results within the scope of a short academic writing like an essay. Brainstorm on how you are going to present your idea so that the readers will be able to visualize the relationship between the cause and effect of your subject. You can use graphic organizers if necessary. 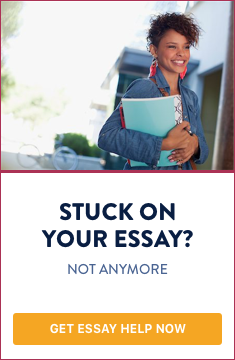 Boost your thesis statement. It should be clearly stated and should give an overview of your topic and opinion. It should also imply that there is a certain cause and effect relationship within your subject. State your topic in the introduction, as well as the purpose of your essay. This will build up your thesis statement or the main idea of your essay. Then provide a background information regarding your topic which will also support your thesis statement. When you present the arguments in the body of your essay, there should be a logical connection. You can present the effect first before you go back to the main cause. Make sure you connect the effect with its cause. Leave the structure intact and always stick to the systematic flow of your ideas. Disregard the minor ones and focus only on the main points. You can start each paragraph with a topic sentence that explains the cause and effect relationship of your subject, then elaborate. In the conclusion, restate the thesis statement and show how it is being supported throughout the essay. Then proofread to check the logical flow of the events. A linear logic is necessary when writing a cause and effect essay in order to clearly elucidate a chain of relationship. Its objective is to explain the reason and the result of a certain situation or event. The cause is the answer to why something happened, while the effect is the answer to what happened next. So, to give you a better understanding of how to write a cause and effect essay, just reread the steps outlined above.